Cypress Cove has SIX brand-new, purpose-built Pickleball courts (installed in November 2018), with a large and active group of Pickleball players playing every day year-round. With over 100 active members in the Cove Pickleball Club, there’s always plenty of players up for a fun and exciting game of Pickleball on the courts! Plus, we hold two incredible weekend-long Pickleball tournaments every year, in March and November. Pickleball Lesson: Mondays at 11 am on the new pickleball courts. Still learning the ropes? Join us for pickleball lessons and learn from our group leaders. Pickleball is a fun, fast-paced, easy-to-learn, low-impact paddle sport that is growing like crazy. Pickleball is a paddle sport that combines elements of badminton, tennis, and table tennis. Two or four players use solid paddles made of wood or composite materials to hit a perforated polymer ball, similar to a Wiffle Ball, over a net. The sport shares features of other racquet sports, the dimensions and layout of a badminton court, and a net and rules somewhat similar to tennis, with several modifications. 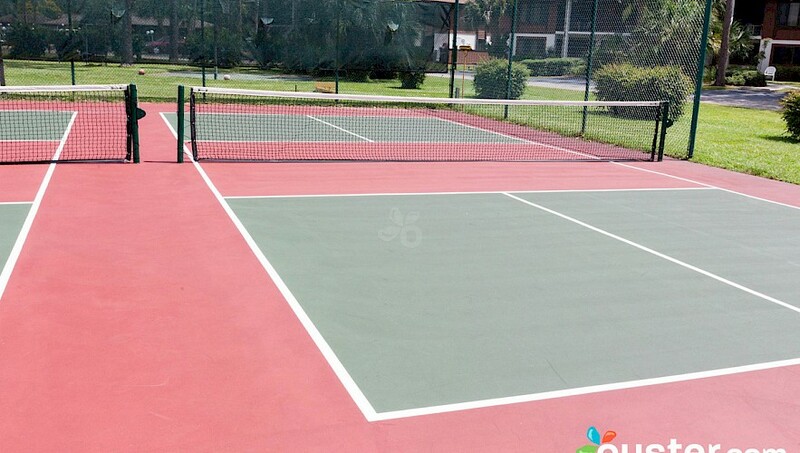 We play Pickleball every day of the week at Cypress Cove, starting at 9 am. Free loaner paddles and balls are always available at the courts, and there are always friendly Cove Pickleball veterans around to show you how easy and exciting it is to learn and play this wonderful sport.